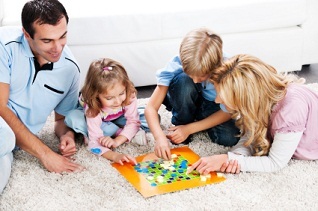 The family room is about you and those closest to you. Family is typically one of the most powerful motivators for people to reach their goals. In this room we look at the relationship between you and those around you. There are tips on the complete circle of life from starting a family, through baby and toddler and on to older kids and teenagers. Each stage is brilliant but has its own unique challenges. Our Family Room is full of tips and advice as well as information on where to go for specific help. "It was a real eye opener to see my Health Age. I was older than I should have been. It wasn’t a surprise though, I knew it. I didn’t have much energy and I knew I had a poor lifestyle. I was in a rut though and didn’t know how to get out. Health House was great, it doesn’t just tell you where you are they advised me on what changes to make to get my energy and drive back. It is amazing how simple it can be when you are pointed in the right direction."